June 18, 2010. Tags: Alan Ball, Alexander Skarsgard, Anna Paquin, Joe Manganiello, Stephen Moyer, True Blood 3.1 recap, True Blood Post Mortem Season 3 premiere Alan Ball. Celebrities, Charlaine Harris, Entertainment, Fantasy, Fiction, Horror, Mystery, Popular Culture, Supernatural, Suspense, True Blood, Urban Fantasy. Comments off. Uber-Snob Sally Quinn suggests using Hillary to save Obama in ’12 – heaven forefend! Sally, Sally, Sally. As a Tea Party Patriot, recovering Democrat and Hillraiser let me enlighten you. We will never, ever, ever support Hillary lowering herself to run as VEEP with Obama in ’12. And to think this comes from Sally Quinn, a woman who spent soo many years bashing Hill and Bill. Talk about the ‘audacity’ of a dope. From the outset of the Clinton Administration, Quinn felt Hillary’s lack of cocktail parties at the WH set her off as a Hillbilly. The Obama Versailles-like weekly events were ever so much more Sally’s style (nevermind how inappropriate they were in this economy). 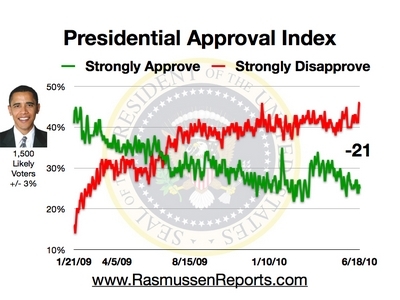 But look, Obama is tanking in the polls! He is clearly over his head and looking ever more likely to lose in ’12. June 18, 2010. Tags: 2012 elections, Economy, Hillary, Hillary Rodham Clinton, Hillraisers, Joe Biden, moderate Democrats, Obama 2012, Obama Clinton approval ratings, Obama vp, polls, PUMA, Sally Quinn, Tea Party Patriots. Obama Administration, Politics, Popular Culture. Comments off. Gold going vertical again….and you know what that means…. June 18, 2010. Tags: commodities, Currency, Economy, Gold, Goldfinger James Bond, Shirley Bassey. Economy, Finance, Unemployment Statistics, Wall St. Comments off.